The cover page of the book “The Soviet Village: Between Colonialism and Modernism” by Sergey Abashin (ISBN 978-5-4448-0219-9 ISSN 1815-7912). The latest research into Central Asia by Sergey Abashin, a professor at the European University in Sankt-Peterburg, has recently been published as a book. The study in question researches into the history of transformation of Central Asia between late 19th century and the collapse of the Soviet Union in early 1990s. The century-long episode of history is related via a description of life in a village that has undergone conquest, repressions, rapid economic growth and cultural modernization. The book (in Russian) includes many documents and oral narrations that shed light on the conquest of the region, the establishment of first colonial and later Soviet rule, the fight against basmachis, collectivization and cotton-based economy, medicine and Islam, mahalla-centric communities and marriage strategies. The author of the book uses theories of post-colonialism, cultural hybridity, the Soviet subjectivity to analyze the collected material. The tools employed help him explain the contradicting nature of public relations in the Russian Empire and the former USSR. 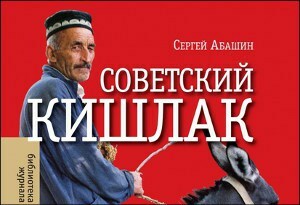 Fergana interviewed Professor Abashin and asked several questions about his latest book. Mr. Abashin, congratulations on your new book! How many years have you spent researching into it? Thank you! As I write in the Introduction, this book had a challenging past. I started my research using a grant from The Wenner-Gren Foundation, a well-known anthropology fund, back in 1995. At the time, I lived in a village for several months and collected facts about its history and ethnography. I have then spent several more years analyzing and processing the collected material and worked in the archives in Dushanbe, Khojand and Kanibadam [Tajikistan] and Tashkent and Fergana [Uzbekistan]. However, I had to put the text aside for some time, because I believed the general knowledge I had on the region was insufficient for fully comprehending the collected facts, so I resumed work on the research only a decade later, i.e. in 2009, when I was working as a visiting researcher at the then Center for Slavic Researches at the University of Hokkaido [Japan]. I needed another six years to draft the text and prepare it for publication. 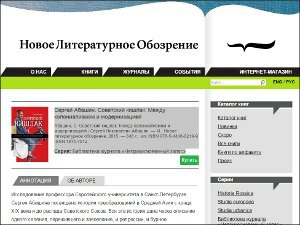 (I would like to express my gratitude to the Novoye Literaturnoye Obozerniye publishing house for financing the book publication.) Over the last few years, I decided to shift my focus from the actual anthropological analysis to a historical/anthropological analysis, because the period commencing in early 1990s [original text] is long gone and lost its actuality. However, it seems that debates about the past, the USSR and attitudes towards it are gaining momentum and actuality. I hope my book contributes to that debate. What particular village served as grounds for your research into history? It is the village of Oshoba in Northern Tajikistan. It is populated mostly by ethnic Uzbeks, although the Oshoba village district includes other villages with ethnic Tajik populations. However, the issue of ethnicity was not the main and principal topic for me in this case. (See my “Nationalisms in Central Asia” book published in 2007 for more discussion on ethnicity in Central Asia.) I was interested in events that affected this community in the 20th century, i.e. the time between the conquest of this village in 1875 through early 1990s, including a few years immediately after the collapse of the Soviet Union. I would like to emphasize once again that the book is not a purely historical narration but a historical/anthropological [analysis], since I was interested in the sequence of events as well as the transformations in various fields of life, the impact of these transformations on people’s minds, their memories, everyday lives and practices, etc. One more detail to be shared. Because the book is dedicated to a specific village, there are many names of real people and description of unequivocal episodes in their lives. I applied efforts to be as accurate as possible in doing so, in order not to offend anyone and paint a balanced and truthful picture to the maximal extent of my sources. Readers will judge whether I was able to maintain the neutral and academic tone [I pursued], including the residents of Oshoba, whose feedback and critique I eagerly await. In turn, I would like to express my gratitude to the residents of this village for warmly welcoming me despite the conditions of complete dysfunction [characteristic for] 1990s, for their warm relationships and sincere desire to share their thoughts and memories with me. To what extent could this particular village’s history be illustrative of the entire region and applicable to it? I was interested in researching not into universal trends, which I believe may exist, but into how peculiarities of a specific locale and its residents were manifested in the 20th century. Of course, I show a general trend, i.e. a peculiar modernization trend, which included tragedies and losses as well as undisputable gains and achievements. But I also see showing specific aspects of this manifestation of modernization in a specific community as one of my tasks. That is why the readers will find many direct quotes extracted from interviews, publications and archives, photographs and tables. I think that once we descend into specific details and spirit of this or that era, into disputes and relations between specific personalities, we would then be able to see the “universal trends” under a different light, i.e. they are no longer mundane “laws of nature,” but are complex, contradictory, unequivocal and multifaceted vectors of life, which fit into the general trends in different ways. That was a goal I conscientiously followed—not to seek in this village confirmations of common theoretical (let alone ideological) schemes; instead, [I sought] elements of these common schemes that would be either applicable or not in a specific case. Professor Abashin’s latest book can be purchased here. What major specific trait of the Soviet village would you particularly emphasize? Talking about the specific traits of the Soviet village, then, perhaps, I would say that it would be the contradictory compound of modernization and colonialism. That is, in fact, the main issue the book looks into; hence the subtitle “Between Colonialism and Modernism.” The word “colonialism” is a loaded word, which bears “denigration” of the past for some. But by using this word, I want to show that life in the Soviet society, let alone the pre-Soviet one, was a rocky one. Indeed, there were significant transformations, the quality of life did improve, and people became more educated and mobile. So, the list of achievements is a long one, and that cannot be denied as I describe such processes in detail. Yet, at the same time, one cannot reject the repressions (especially in the Stalin era), conflicts, injustices, disproportions among various groups and regions, more privileged or unprivileged approach to each other. This is the complexity, the hybrid compound of modernism and colonialism that, to my mind, make up the framework, through which I propose assessing the history of this Central Asian village in the last century.